From quotation to after sales service, our commitment is to provide its clients with products of the highest quality, on-time at a competitive price. Customer satisfaction is our main objective and the same high level of attention is given to any phase of the product’s life. Our Global Sales arm works in close cooperation with the client to ensure that each project is accurately defined, planned and continually tracked during all the design, production, assembly and testing phases. By understanding what the client wants to achieve and what their expectations are, our project team co-ordinate and interface with the client and our sub-contractors to help find the best solutions and ensure successful project completion in terms of performance and delivery time, while keeping all parties involved of progress from inception to completion. 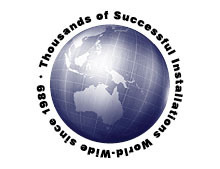 We have long term relationships with our API licensed partner manufacturers and sub-contractors in Australia as well as Italy, Spain, China, India and Korea. We utilise our own appointed independent inspectors to undergo inspection and witnessing of testing at our sub-contractors’ facilities. 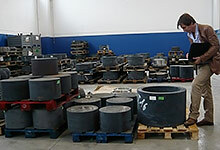 Quality is then re-checked and regularly re-tested at our Adelaide facility. 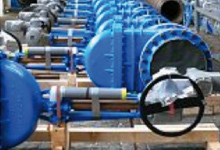 Australian Pipeline Valve (APV) has earned a reputation for fast track supply of valves for shutdowns and short delivery projects where meeting the contractual delivery date is essential. We keep on hand semi-finished valves drastically reducing manufacturing process time. APV can manufacture in very short lead time. We custom engineer and test in our advanced Adelaide engineering & test facility. We can supply special executions in very short lead time such as metal to metal seated ball, plug and butterfly, as well as abrasive and high temperature service valves. 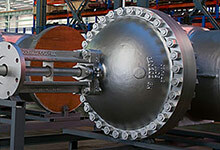 Also cryogenic valves, buried service valves, ESDV valve packages and LNG valves. If required we can also copy and reverse engineer any brand of valve. 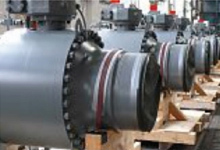 In conjunction with Global Supply Line Engineering we offer our Factory Fresh program. 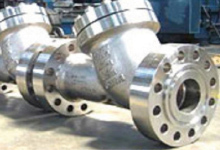 This program is a fast response procedure which guarantees valves will be ready for despatch from Adelaide in as quick as four days from receipt of a purchase order. 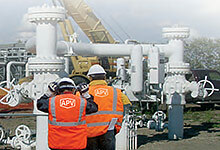 APV has developed a reputation of being able to supply valves for shut-downs and emergency inquiries in very short delivery. 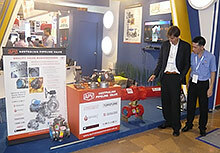 The program is subject to the required valves or their components being available at the time. Valve end connections can be machined to your requirements, required seat type and packing type can be fitted, and the valve is painted to APV’s standard paint specification and supplied with all standard APV documentation and quality assurance. The valve will be tested prior to despatch and a current certificate will be furnished. Through our global wholesale sales agent, Global Supply Line and our network of agents, APV is able to supply its worldwide customer base from an ex-stock basis, as well as fast track manufacturing to order while offering the flexibIlity of performing modifications to standard designs to include actuation, extension spindles, special ends, seats and coatings etc.